We search the murky back waters of youtube to find full concerts and post them to the site weekly, come back every seven days to help us celebrate Full Show Friday's. These shows are of varying quality and may not be here for long so enjoy them while you can...As always, please support the artist every which way, but especially by seeing them live (if they are still playing)...This week...Leyla McCalla! Every April we have a special showcase for bands who are playing this years Jazzfest in NOLA. Today we will focus on Leyla McCalla who will be playing Friday May 3rd on the Fais Do-Do Stage. RtBE has only recently became aware of Leyla McCalla, but in that short time have been super impressed. From her amazing newest solo album Capitalist Blues to the powerful Our Native Daughters release Songs Of Our Native Daughters the former Carolina Chocolate Drop has already had an active 2019 and she still gets to play at Jazzfest in a few weeks. It is of The Yawpers newest release, Human Question. This is a really cool album for Rock and Roll fans. Hell, it is a cool album for anyone. 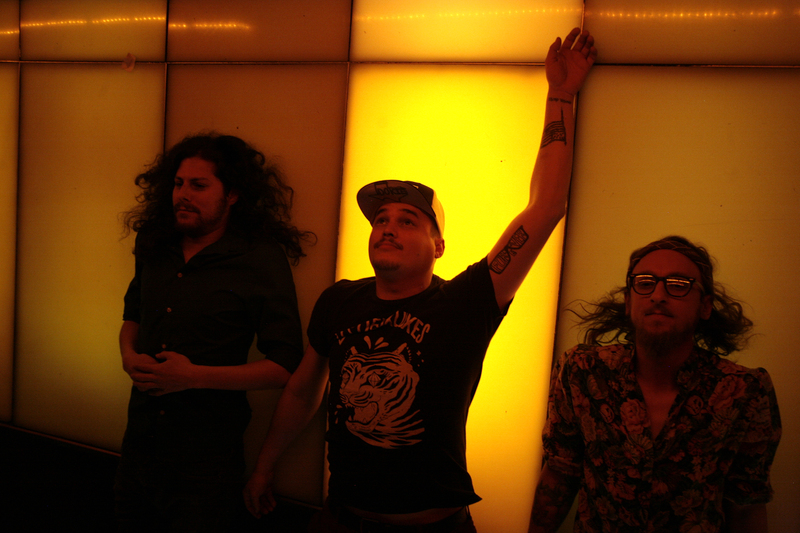 The Yawpers mix up some heady ideas with some raw energy and bluesy playing. RtBE had not been familiar with this trio prior to this release but will have to dig into their back catalog. There is a clear Replacements connection, and turns out that Tommy Stinson actually produced their last album., which makes sense. Bloodshot Records is a damn good label and this is a dman good release. It is going to get loud in Central Park on July 25th as a trio of bands are taking to Summer Stage on that Thursday Night. 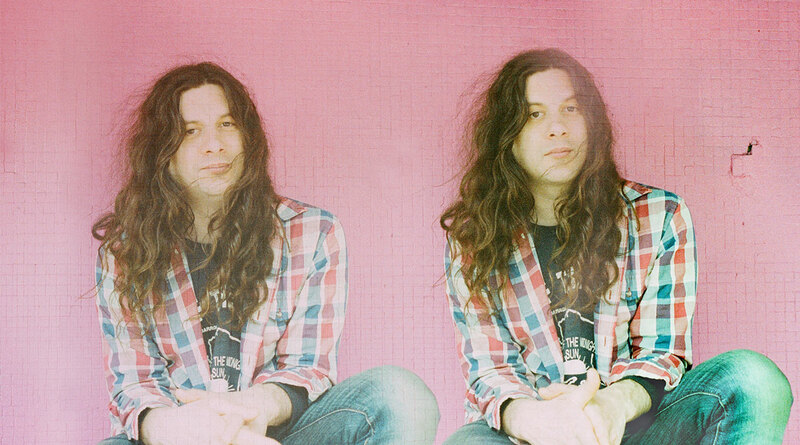 Kurt Vile, Dinosaur Jr. and Cate Le Bon will be playing on that night in the heart of Manhattan. Tickets go on-sale tomorrow (or today if you are fancy club member) for the show. 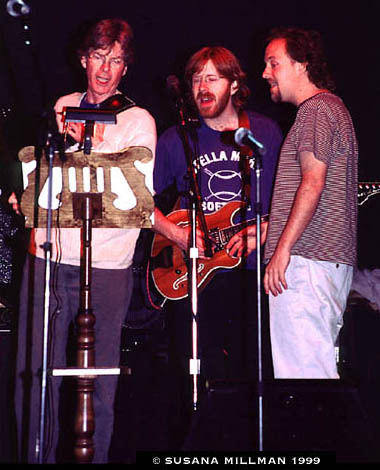 Today marks the 20th Anniversary of Phil & Phriends Show from April '99 were the first true coming together of the Grateful Dead and Phish worlds. 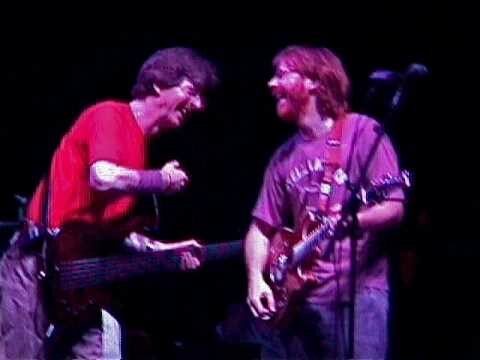 For those of use who remember the show announcements, the importance can not be overstated, this was going to be monumental, Trey Anastasio and Page McConnell would head west to join Phil Lesh along with Steve Kimock and John Molo at The Fillmore in San Francisco. These were the hottest tickets around and even more exciting the shows outshine the immense hype. If the previous night was the Phish lead party night for this outfit, the closing night was highlighted by Kimock and Molo as the band got spacey, jazz directed and worked out some of the more intricate Dead tunes in relaxed, confident and down right jaw dropping fashion. The opening huge tune/segue fest continued for night three and if asked what is the supreme highlight of this run, I would have to pick the opening segue magic of this show as the "Dark Star">"It's Up To You" "Days Between"> "Dark Star" > "My Favorite Things" is simply glorious. 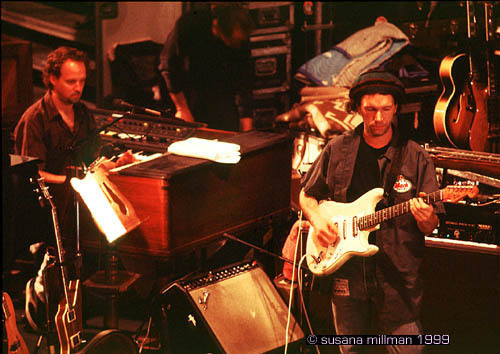 The playing in and out of "Dark Star" would be another trait Lesh would take with him moving forward but on this night Kimock shines bright as his tune "It's Up To You" blends wonderfully with the Grateful Dead old jam war horse, and the most underrated song in the band's catalog "Day's Between". Always a personal favorite, this version is magical and we haven't even dipped back into "Dark Star" and the instrumental take on the Coltrane classic. The whole thing is moved along so swimmingly by Lesh and particularly Molo as the band just seems in total command over the opening hour of music. 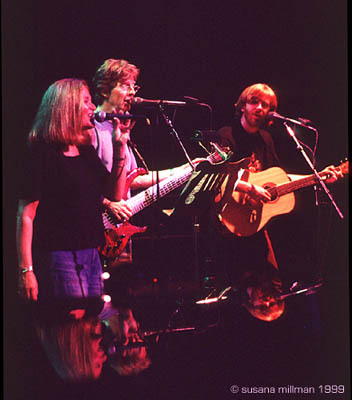 Donna Jean rejoins the boys to help out as "Bird Song" has flashes of that Dark Star jazz flowing through it as Page lead the singing way, his vocal highlight of the run, to close out the magical set of music even though not everyone will dig Phil's backup vocals. Here is where I will put a caveat, if you don't like Phil's style of singing these shows may not take on the legendary status they have achieved in the RtBE clubhouse. Sure there is enough music (as well as vocals from Trey and Page) but Phil is the main vocalist and his singing just fine for us, but he is clearly not for everyone. 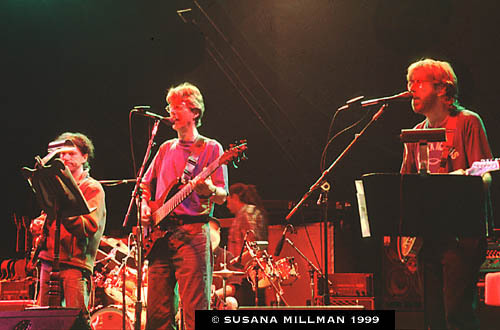 The second set opens with "Terrapin Station" as the band goes big and while not an all-time must hear it is a respectable version (with some vocal flubs but excellent jamming roaming over twenty minutes) but the set shifts into a higher gear with "Down with Disease" acting as a rev up before the band melds back seamlessly into Dark Star's sung second verse; simply gorgeous. 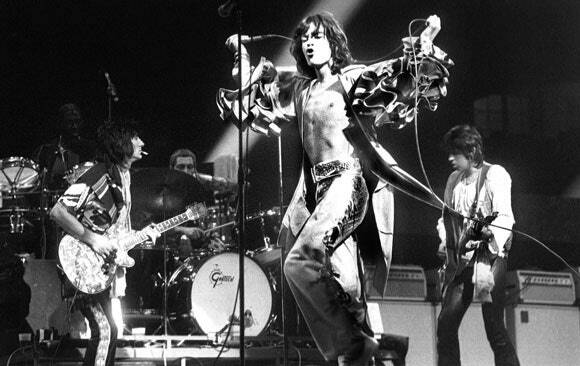 The group moves into some fan favorites mid second set and while perhaps a killer "Eyes of The World" jam would have seemed a perfect fit, they went with "Friend of the Devil" and "Casey Jones" both solid if not world beating. Things are soaring again though for "Morning Dew" and the raging running of "Going Down The Road Feeling Bad"
This particular group of players seem like they could have kept it going forever, but they never played together again, and that is OK as these shows captured a truly magical coming together of musical worlds and connected generations through music, love and pure joy. RtBE makes it a habit to listen to these shows often, you should do the same. 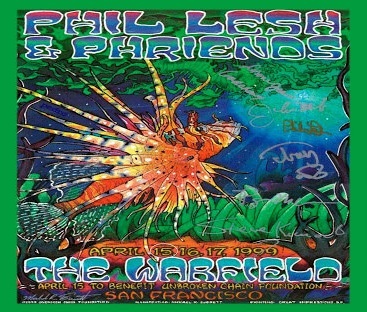 Today marks the 20th Anniversary of Phil & Phriends Show from April '99 which were the first true coming together of the Grateful Dead and Phish worlds. 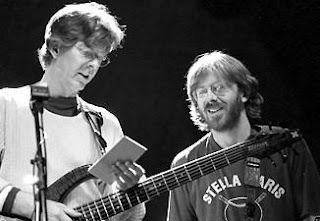 For those of use who remember the show announcements, the importance can not be overstated, this was going to be monumental, Trey Anastasio and Page McConnell would head west to join Phil Lesh along with Steve Kimock and John Molo at The Fillmore in San Francisco. These were the hottest tickets around and even more exciting the shows outshine the immense hype. With the mega opening and the huge closing yet to come the middle night of this run doesn't always get the love it should, but the show is straight up fun from the opening "Help On the Way" notes to the acoustic "Ripple" encore. If anything this night feels the most Phish lead with Trey and Page singing and playing in the forefront for the majority of the set. This is the epitome of a Friday Night show as the band and crowd are in high spirits and the matrix mix captures that joy. The huge "Help>Slip Franks" continues the trend of historic jamming to open as the trio clocks in at forty minutes and while Trey gets the vocals going for "Help", it is the "Slipknot!" section which pays the best dividends with the group interlocking and weaving as if they had been playing together their whole careers; it is a snake sifting through the underbrush with slinky grooving ease. The wrap up of "Franklin's Tower" is joyful but surprisingly Page hits a few false notes with his vocals. Unlike post Viola Lee from the first night there is no exhale to end the first set, the immensely apropos Phil lead vocals of "Wish You Were Here"...Here is where I will put a caveat, if you don't like Phil's style of singing these shows may not take on the legendary status they have achieved in the RtBE clubhouse. Sure there is enough music (as well as vocals from Trey and Page) but Phil is the main vocalist and his singing just fine for us, but he is clearly not for everyone. You don't need singing to be moved towards tears during the instrumental Kimock led "Stella Blue" which weeps with majestic beauty; The ghost of Garcia is in those notes. "Tennessee Jed" is a blast of fun release while the players then throw down the most Phish sounding jam, and one of the individual highlights of the full run with a funk laden "Alligator" to close this set. This version was so well received fans were convinced Phish would pull it out at Big Cypress when the band rang in the millennium, but that wasn't to be. 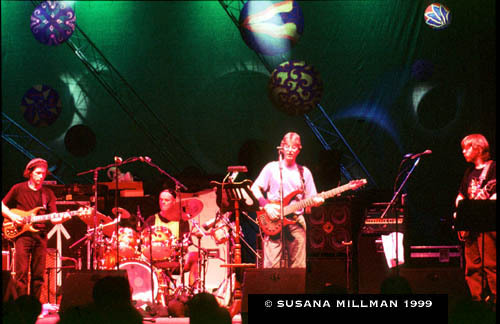 The group segued into the twinkling sea song of "Prince Caspian" which found Molo hitting big drum fills as Phil played his relaxed style adding fluid, melodic bass lines underneath as the jam stroll out to fifteen minutes with Kimock feeling right at home in a Phish tune as he and Trey worked together to raise the tune to soaring heights. 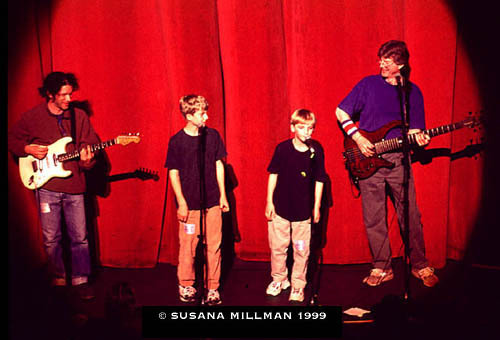 The middle of set was a Lesh spotlight as "St. Stephan" > "The Eleven" and "Unbroken Chain" all received huge shouts from the crowd. The quintet's take on "Chalkdust Torture" is fine, with more excellent interplay with Kimock and Trey, if a bit wandering and the relaxed, "Mountains of the Moon" is a breather before the set closing double headed joyous jaunt through the beloved "Scarlet Begonias" > "Fire On the Mountain" pairing. A "Ripple" encore wrapped up the night with excellent supporting vocals from Page and Trey. A crowd pleasing set which still brings smiles to the faces of those listening twenty years on down the road. In this ongoing Monday Series we will be exploring various artists versions of Bob Dylan song's. Today's artists, Ani DiFranco performing a live cover of "Most of the Time"
This month we have a special focus on Artists who will be playing the 2019 Jazzfest in New Orleans. Today we highlight the legendary, Ani DiFranco who plays the Fais Do-Do Stage Friday, May 3rd. One of the best songs in Dylan's repertoire from any of his era's and also one of the most important, "Most Of The Time" proved Dylan was far from done as an artist. 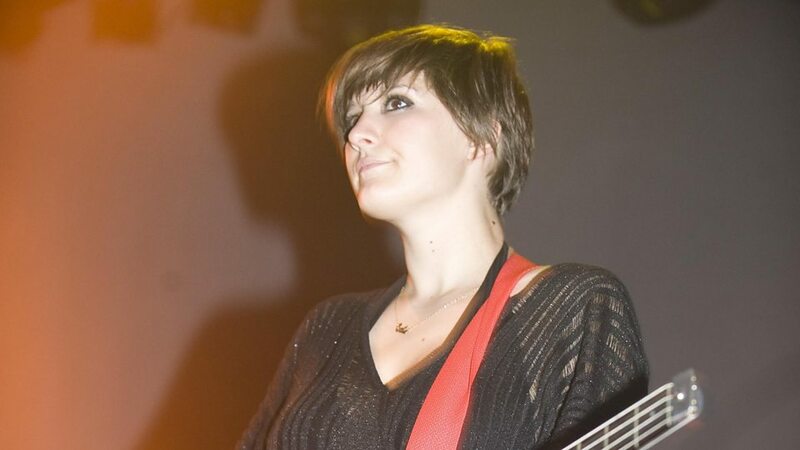 Showing up on the return to form album Oh Mercy, "Most Of The Time" is a revelation with it's descending bass line and powerfully stark lyrics. There is a palpable sense of desperation, longing, sadness, a nervous sense of things are falling apart around me; this tune touches a nerve and makes you stand up and take notice. Ani DiFranco has always been on the periphery of our musical tastes, but has never came front and center. An excellent reworking, putting the banjo front and center is a bold choice and works well. DiFranco also pays tribute to the original with the bass player working in that gorgeous line as the song progresses. 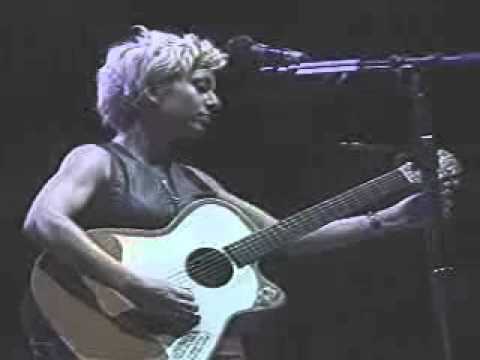 DiFranco's voice is in fine form even if the audio is a bit choppy. Great cover.